Let Dr. Steve G. Jones’ vast experience in the world of hypnotherapy, as well as his expertise in the field of building wealth, work for you! Inside this book, Steve lays it all out for you. Learn practices and techniques to help you improve yourself and take your career to the next level. Take all the knowledge you have collected and let Dr. Jones transform that into top selling internet products. This step by step guide is all you need, get started today! Steve has helped and tremendously impacted people around the globe with his products. This powerful book will act as a tool to improve your life and incidentally the lives of others around you. Part 1: Confidence – Break through your barriers in order to get you from where you are, with little or no products and little or no sales, to where you want to be. Make money while you sleep by selling products online. Chapter 7: How Do I Know If Im An Expert? Focus- Get clear on what you are going to sell based on your unique skills. Chapter 10: Where Are The Ideas? Chapter 12: Maintaining A Positive Mindset To Succeed. Part 3: Production– Now that you have overcome your barriers and you know what you want to create, it’s time to learn how to make it happen! Part 4: Sales– Now that you have overcome your barriers and you know what you want to create, it’s time to learn how to make it happen! Who Is Steve G. Jones and What Makes Him Qualified to Write this Book? Steve G. Jones has over 20 years experience as a certified clinical hypnotist, both teaching hypnosis students and working with clients. His list of former clients includes: Danny Bonaduce, Jeraldine Saunders (creator of the Love Boat TV series), Tom Mankiewicz (writer of Superman the movie), and many other celebrities. Dr. Steve G. Jones has served on the board of directors of the American Lung Association in Los Angeles, California. He is a member of the National Guild of Hypnotists, National Board of Certified Clinical Hypnotists, founder of the American Alliance of Hypnotists, member of the International Registry of Clinical Hypnotists, associate member of the APA (American psychological association, member number 29263998), has presented his hypnosis research at the American Council of Hypnotists Examiners, received the President’s appreciation award for his outstanding contributions to the American Association for Adult and Continuing Education, is a member of the American Board of Hypnosis, member of Who’s Who among Students in American Universities and Colleges, member of Pi Lambda Theta International Honor Society and Professional Association in Education, member of Omicron Delta Kappa Honor Society, member of the Golden Key Honor Society, recipient of the National Leadership Award from the United States National Congressional Committee, received a bachelor’s degree in psychology from the University of Florida, received a master’s degree in education from Armstrong Atlantic and State University, received the educational specialist degree from Georgia Southern University, and is currently a doctoral candidate in education at Georgia Southern University. 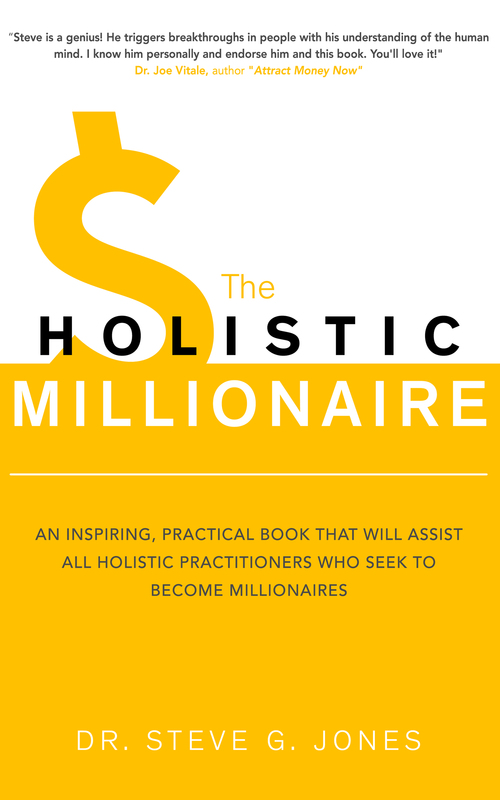 This book is not about becoming a millionaire alone! This is about sharing your gifts and giving back! It is about helping others and generating wealth doing what you love. The more you help others the more wealth you will generate. Become a pioneer in your field! 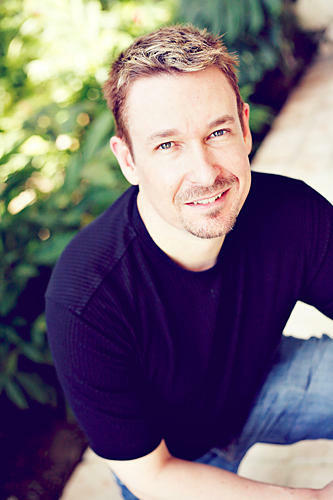 Dr. Steve G. Jones is a board certified clinical hypnotherapist who has been practicing hypnotherapy since the 1980’s. He is the author of 25 books on such topics of hypnotherapy, the law of attraction, and weight loss. Dr. Jones has also created over 9,000 hypnosis audio recordings and 22 different online certification programs, which are sold in over 140 countries. 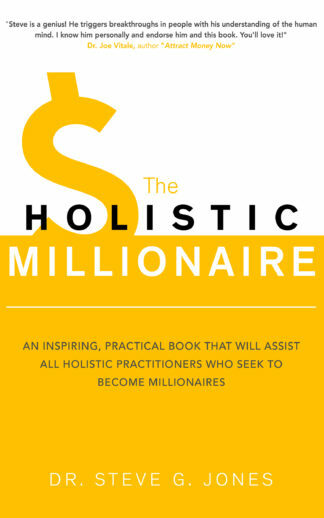 Dr. Steve G. Jones has been featured on Bravo’s Millionaire Matchmaker as both a hypnotherapist and a millionaire. Additionally, Dr. Jones has been interviewed on CNN, ABC, NBC, and CBS. Dr. Jones has a bachelors degree in psychology from the University of Florida (1994), a masters degree in education (M.Ed.) from Armstrong Atlantic State University (2007), a specialists degree (Ed.S.) in education (2009) from Georgia Southern University and a doctorate in education (Ed.D.) from Georgia Southern University (2013). Dr Jones has also studied psychology at Harvard University. I have written a new book that will show you how to take your knowledge as a hypnotherapist, acupuncturist, massage therapist, etc. and market yourself online. 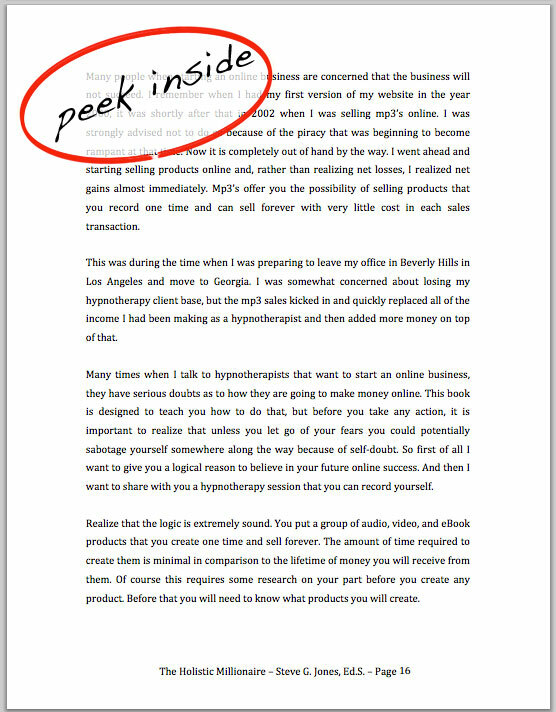 I’m not just talking about marketing your services…I also show you how to create e-books, videos and audios that you can sell online. I teach you how to create the products and how to market them.